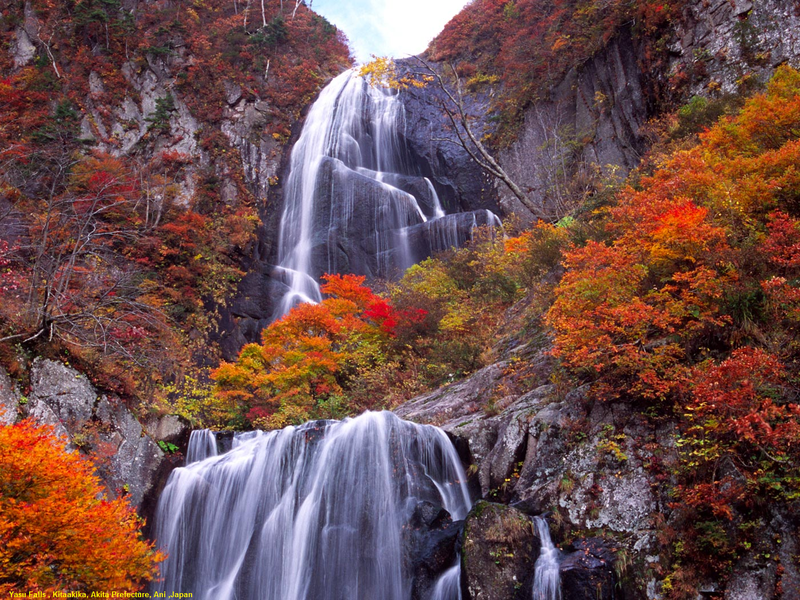 Yasu Falls is a waterfall in the Ani district of Kitaakika, Akita Prefecture, Japan, in on the Yoneshiro River.The falls are in two levels, he main drop of 60 meters on the upper level and a smaller drop of 30 meters on the lower level. Between levels is the basin of the first waterfall which is a wide space than can be hiked to easily. From Ani, go south on Route 105. Take a left on Route 308. Drive 7 kilometers to Ani Matagi (Utto). You can get advice from the people at Yuppara Onsen(on your right as you go through Ani Matagi, about a minute by car beyond Ani Matagi train station. There are surprisingly nice toilets at the trailhead. The entrance to the trail is just below the toilets. It is a dangerously paved rock path, BE CAREFUL!! If you hike from the trailhead, this hike rates an Easy. If you hike from Route 308, this hike rates a Medium. From the Route 308, this hike is about 15-20 kilometers over rolling hills. From the trailhead, this hike is about 4-6 kilometers (I think) over easy terrain.